Lisa is our farmer extraordinaire! 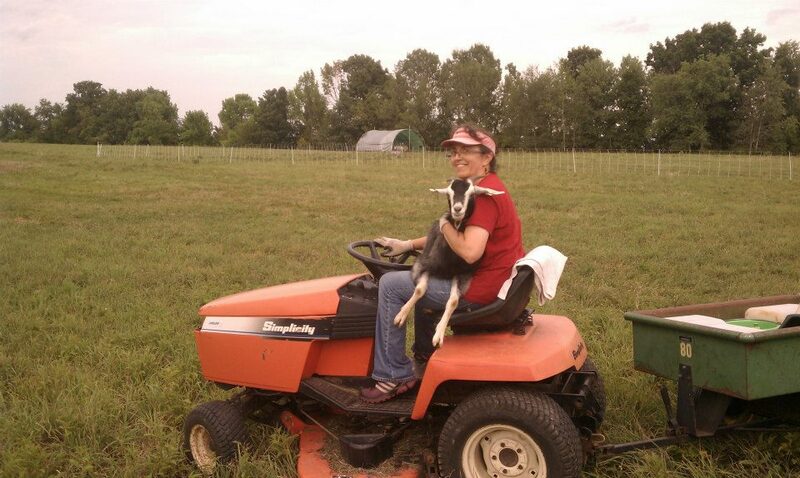 The founder of Laughing Goat Fiber, she started her farming adventure on a gorgeous, 20-acre plot in southwestern Ohio, growing organic vegetables, flowers, and raising chickens, ducks, and turkeys. 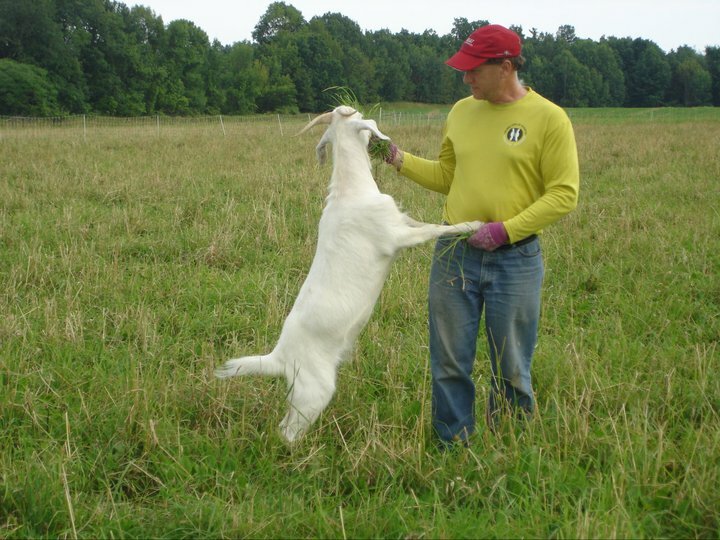 Once she branched out into goats, everything changed – and brought us to where we are today! Lisa works around the clock to keep the farm running, the animals cared for, and the yarn dyed. She no longer works full-time as a network engineer, and happy that she can now devote herself to the farm only. Gary is the muscle of this operation. He tirelessly (well, not really) keeps the animals fed, watered, pastured, and safe – rain or shine. Or snow. Or sleet. He is our hay bale-slinger, our big goat wrangler, and – occassionally – our tractor mechanic. Gary is also the full-time director of the Downtown Ithaca Alliance, a non-profit organization dedicated to the health and vitality of Ithaca’s business improvement district. He dons a suit and tie for that job, but it’s not clear which outfit is his superhero uniform. Farmer’s daughters! These two are frequently seen at festivals and farm events, and also help with yarn dyeing. They are the unofficial social media managers for the farm. Marion designed the logo for the farm and makes everything look pretty. Nancy is a behind the scenes booster and organizer with lots of marketing savvy. We have been very lucky at Laughing Goat Fiber to have incredible interest from the student community in learning about farming and animal husbandry. Over the last few years, we have worked with several students and local volunteers. Most volunteers take part in an apprenticeship, working alongside Lisa to learn about raising these animals, but we have also been able to offer credit through an extended internship experience. Credits are currently offered through the University of Vermont, and you should contact your university to find out if they will partner with UVM. 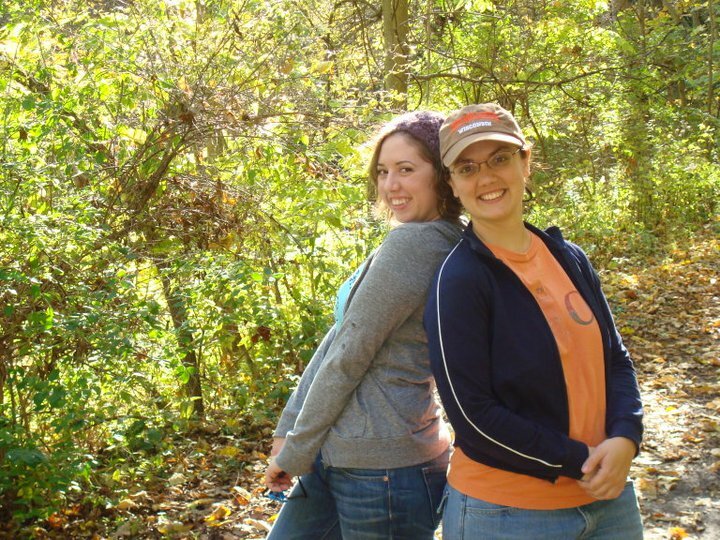 We reluctantly said goodbye recently to a wonderful student intern from Iowa State University. Patrice is an animal science major, and earned course credits for her summer here on the farm. If you’d like to find out more about volunteering or interning here on the farm, check out our internship page, and send us an email!